Aaron Norris is joined again this week by James Sheppard. James is the co-founder and CEO of Centriq. The goal of Centriq is to simplify life for homeowners. One of the reasons Aaron contacted him a few years ago when he was on their YouTube channel was he did not think it was cool just for homeowners, but also from the real estate investor perspective. He is a two-time entrepreneur who has brought ideas to life in both the physical and digital world. In building Centriq, he is drawing from his experience in commercial real estate development, building large mixed-use projects in Vancouver, Canada as well as an infrastructure management business where he helped large utilities where cities optimize the performance of their physical investments. Prior to Centriq, James was VP of Strategy Innovation at Sales Force. His system reminds Aaron of a customer relations management system for your house. Today, they continue their video presentation, which you can check out on YouTube, Facebook, or LinkedIn. Last week they ended by talking about recalled devices, and today James began by showing an example. James said about two years ago there were two million Samsung washing machines that were recalled. They were recalled because they had an imbalance in the spinner. With the new technology of motors being so powerful combined with the balance, they had a risk and in a number of cases vibrated out of control to the point they blew apart. They exploded in the consumer’s home, so 2 million of these things were recalled. What are some featured utilities on his app that were formerly recalled, and why? Is the general app still free to the public, and how much does the professional version cost? What happens if you pay for branding? How do they deliver value to their customers in the most effective and friendly way possible? How will service providers come into play in the future? Is there a limit to the number of videos you can upload and host per property? Where does James see this app going in the future? Samsung did a good job of digging int to find the owners of these products even though less than 10% of products get registered. Samsung did not know who had these two million washing machines. But, in partnership with Home Depot, Best Buy, and Lowes, they really dug in and found the owners. Nonetheless, people can own these things and not know they still have them. James showed Aaron an example on his website that would also be sent out via email and app notification. They will tell you if the product matches a recall and you need to take action. In the app, he clicked on the take action notification. If you ever find yourself scrolling around the Consumer Product Safety Commissions recall database, you would see what James was showing. It was actually 2.8 million units. Samsung was really pulling out all the stops to make this right for their customers. They were sending technicians in to do in-home repairs, and in some cases, putting in replacements. If you own one of these things, why on earth would you not want to know and get it fixed at Samsung’s expense. Aaron was using the app for free, and he wondered if this has changed from a consumer standpoint. James said yes and that for anyone listening, they can go to the Apple or Google Play store and get the app on IOS or Android. It is Centriq, is free, and always will be. When he talks about the trade and ramping up efforts to work with the ecosystem that surrounds the homeowner, you can still use what you are paying for on a one-off basis for free. However, if you pay for the professional version you can put your branding on it. This is valuable to real estate agents who spend a half billion dollars a year on closing costs to stay on top after the transaction. If you pay for the branding, you end up with a number of different abilities. Not only do you get to brand it, but you get to easily transfer properties. If you are a builder, set up the account, and are ready to hand it off to the buyer, you just enter their name and email and press Transfer. When they accept it, they now have access and the person who transferred them does not. This means they have the privacy to go on and add all their consumer electronics and anything else that matters to them. It’s a really nice feature, and those two features really comprise the pro version. This is priced at $5 per home per year. If you are doing a certain volume, you can pay $350 per year for unlimited. If you are a property manager, builder, or somebody doing any level of volume at all it makes sense to do the $350 a year. You can also get the first 90 days free. If you try it and decide you don’t want to pay for it, everyone gets to keep what they have. The only thing that happens is your brand falls off of it for the user. It’s risk-free to use it as a pro, but as a consumer, go to the IOS or Google Play Store and download it to see what it is all about. Aaron really liked the concept of a surprise closing gift. We are always trying to stay memorable and relevant. Aaron gets a lot of emails from his realtor friends trying to stay relevant, and it all goes to spam. What is really cool about this is they might not go in every month but once a year if they need something. If you were a realtor before they closed, went through the house, took all the pictures so they had it for their records, you are basically handing them a digital folder with all the user manuals and how-to instructions. You could even create your own custom videos about your favorite places to eat, something else special about the neighborhood, or the schools in the area. You could upload it so when you hand it over, they are looking at you. It’s extra information and a cool way to brand yourself. If you are doing a lot of these, for $350 a year it is unique and would not take too much time. You are already going in there and taking beautiful pictures if you are the listing agent and giving them to the consumer. It seems like a no-brainer and cool gift, especially if you are working with more millennials who are more digitally demanding. The market is starting to expect this kind of thing. James said the number one response he would get with his broad professional circle when he left sales force to go build Centriq was people could not believe something like this didn’t exist already. It’s a no-brainer. Why wouldn’t you have the digital operator’s guide for your home? One of their investors is the National Association of Realtors. Every year they pick six upcoming property tech companies they think have potential to add value to their membership. They bring them into an incubation program and teach them the ropes of the real estate market. Another clever thing they were doing was they were getting real insights into which of these things really have legs. They then go off and make investments in a select number of them. They made an investment in Centriq because they saw people who buy homes today may otherwise get handed a ratty user Manuel and a “good luck, you’re on your own.” With Centriq, you get handed everything you need a consumer to have a good experience in that home. This is the model on which they are working. James made it clear they are not an advertising platform, and this is not about maximizing brand impressions. It is about delivering value. He touched on earlier how they are on a multi-phase path and have done a good job of replacing that binder of manuals. However, they are not staying here. Where they are going is helping you get the most out of everything you own. The app works for things like televisions, radios, smart watches, and headphones. When you think of the number of things the average consumer owns with an on switch, they are not always intuitive to use. You want to know how to trouble shoot them when problems happen as well as keep track of them so you have the warranty info. If you are going to Centriq daily, you probably have a problem and should think about selling that item. Right now, their users come back to Centriq about every 6 or 7 weeks on average. They are coming back to add new things that they bought, look up how to troubleshoot something, reference a document, receipt, or photo. The whole point of it is so consumers can put everything in Centriq so that when you move every 6-7 weeks up to every week or so. It is never their goal to go beyond weekly use. This would suggest you have some problems with your stock. It is the trusted companion for people who have a lot. Therefore, the impact for that realtor, builder, or mortgage lender is of high value since they are associated with helping the consumer. A lot of investors focus on the first-time homebuyer market. The process is so overwhelming, so you need that user’s manual. At the time Aaron bought his first primary residence, if the realtor at the time had handed him something like that it would have made an impact. When it comes to his rental properties, nobody calls him when he is at home with all his files. He has a few properties with some things on them they have not made since the 1970s. For the repair guy to tell him that, he already knows it will need replacing. You could get the call about an appliance failing at the worst possible time, like when you are boarding a plane to fly across the country. This is why Centriq has the access to information that is does. People don’t like to think about home or property maintenance and fixing things. However, they exist because when you do need to think about it, if you don’t have something like this or the right information at the right time, you will do your equivalent of paying $200 to change batteries. Centriq is very visual, and the user interface has gotten really lovely in the past couple years. Even if you are working with a consumer where English is not their first language, they would probably get what they needed. Aaron noticed he had a service provider and asked him about where the they will come into play in the future. 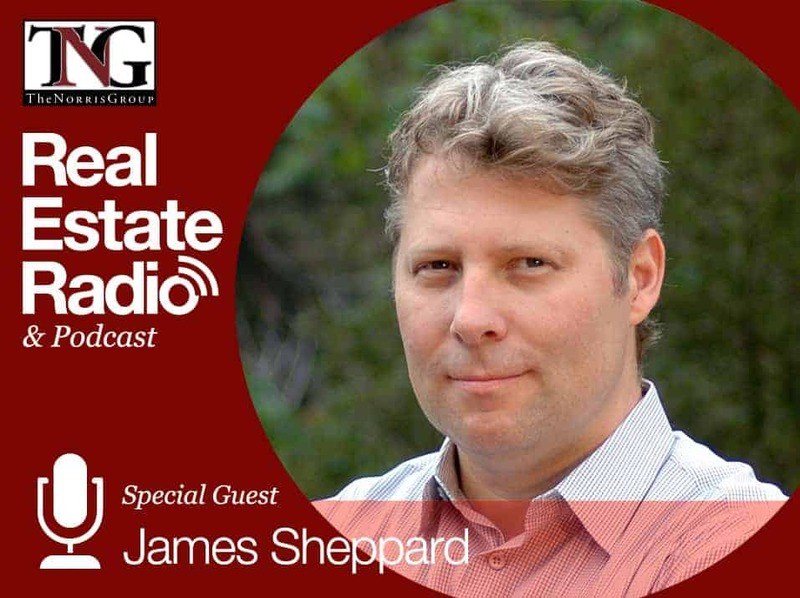 James said right now you can upload the different service providers you work with to buy property. If you are an investor who own 10 homes and self-manage them, right now you would do them property-by-property. Now, with bulk upload capabilities, you can use the same plumber across all your properties. In San Francisco, for example, you will find people who won’t cross the Bay Bridge or Golden Gate Bridge. Therefore, in this case you would have to identify them on a property-by-property basis. The other thing about being listed as a sponsor is you get a compact record in there. It is really easy for them to make contact with you and share your contact with other people as a referral. Aaron asked about if he was the realtor handing it off and if there was a way for him to point to the closes handyman or lawn guy and cleaning service who are his favorite. James said this was exactly right. If his home listed at 567 2nd Street, they would go in to transfer everything to the new buyer. What they would want to do is go in and add the service providers, which they are creating a bulk upload feature for, and input the people you recommend. This also saves realtors from getting that call at 11:00 on a Friday night from somebody who cannot fix the washing machine and thinks the realtor is the one to call. If you are strategically using service providers sending you leads about board ups or properties that need work or handymen inside a house that is completely busted, it’s a cool relationship-building piece. If you are in the market looking for an electrician, you have to ask yourself who the best electrician is you can possibly use. It is the electrician the previous owner used who knows that house intimately. Now, you are getting the person who knows that property, and that is invaluable. This covers so many unique bases and is a special gift since he has never seen anyone do this. Aaron brings up this tool when he speaks on technology because this is still one of his favorite practical tools he has seen. Aaron next asked about the videos you can upload and if there is a limit to the number of things you can host per property. James said there is currently not a limit to what can be hosted, although they are building some compression capabilities to make uploads faster and reduce the file size. He expects that they will want to look at some limits in the future, and some users are doing some incredible things. However, he thinks that use case makes a lot of sense, and they have seen people do some interesting things. With the home inspection market and builders market, one of the cool things they are seeing happen is the “teach me my house.” They are not just handing over user manuals, but they are showing how to do the different utility shut-offs and what you would do in case of an emergency. When you talk about first-time homebuyers, they do not know what to do when the heat goes out in the furnace or what a sump pump is or the role it plays. That kind of information is perfectly delivered in this video platform to the user. It is really useful when sharing with a tenant since you can always do a video walkthrough with them. If you have multiple properties and there is an emergency, it is good to have this tool to know exactly where to shut off the gas or other valuable information. Aaron and James ended by talking about where they see this going in the future. Aaron has seen Lowe’s invest in a lot of interesting technology over the past several years as well as Google Tango being able to point cameras at an oven, automatically measure it, and pull in product that would fit that space. You can then add it to your cart. They also have the virtual reality experience to where they can create what your kitchen will look like and swap out on the fly different materials. He could see a product like this where, if you became partners with Wayfair or Ikea, you could walk into a new home and see what it would look like as it virtually shows you the furniture and size of the room. Aaron asked what his vision is for where he wants to see this tool go. James said they have a lot of visions and a number really interesting things on the practical build-soon roadmap. Oftentimes we have things in our home where we wish we could be getting a better performance out of it. One of the thins they are looking at doing this year is they can automatically determine the value of the product since they know the age of it. They can tell you what the market value of the item is and how much you can sell it for on eBay or Craigslist. Since they know the dimensions, you can also present very targeted relevant offers about ones that could replace it. You also have Lowes, Home Depot, and Best Buy chasing your business saying they have an amazing deal on an upgrade replacement that will fit. Someone from Centriq can come pick up your appliance you are getting rid of, then the money from that can be applied to the new purchase. That helps you facilitate the upgrade process. One of the other areas on which they are focused, when you think about having a problem with any product you own, the support and knowledge you need to resolve that problem as quickly and cost-effectively as possible is locked up in a variety of places. It might be embedded in your user manual, or somebody may have been writing about it on a blog post. It is probably in some service training manuals the service provider has for their own technicians. Centriq is applying to AI to extracting the best content out there and making it accessible, both visually and through the various personal assistants, such as Alexa or Siri. If you imaging the tenant calls or texts you and tells you the dishwasher is flashing in their code, you can “Alexa, what is the R2 code in my property in Des Moines?” Alexa, through Centriq knows the dishwasher in that property and the answer is presented. If the answer is already known, Centriq surfaces it so it is accessible. Their mission is to simplify the lives of homeowners. This is not just owner occupants. It is also the other people who own the home who will receive that call. That is the end of our show. If you want to explore more about the app, you can go to www.mycentriq.com/norris. You will see how it works for builders and realtors and the ecosystem of professionals who touch the home. You will also learn a lot more about how it works and what it does. You can download it from the app store.